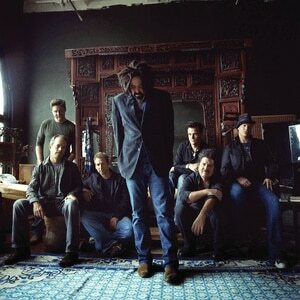 Counting Crows is an American rock band originating from Berkeley, California. Formed in 1991, the group gained fame in 1993 following the release of their debut album, titled 'August and Everything After', when track "Mr. Jones" became a big hit. Known for their melancholic yet melodic songwriting, the band started when singer Adam Duritz (previously of The Himalayans and Sordid Humor) teamed up with guitarist David Bryson (local producer and former member of the band Mr.